What Are Logistics & Supply Chains? What Are the Functions of Intermediaries in a Distribution Channel? A supply chain is the network of suppliers, distributors and subcontractors used by a manufacturer to source its raw materials, components and supplies. Logistics companies store, transport and distribute supplies and work-in-progress within the supply chain and distribute finished products to customers or intermediaries. Integrating supply chain and logistics operations improves efficiency and reduces costs, increasing the manufacturer’s competitive advantage. A supply chain can be a loose affiliation of suppliers or an integrated network working primarily or exclusively for the manufacturer at the head of the chain. Within the supply chain, a manufacturer may have a single source of supply for raw materials and components, or it may use multiple suppliers. In complex supply chains, such as those for the automotive industry, manufacturers designate their suppliers as tier 1, tier 2 or tier 3 suppliers, depending on their strategic importance to the finished product. According to Tilburg University, relationships in a supply chain can take a number of forms, from arm’s length to collaborative, partnership, joint venture or vertical integration. Manufacturers that want to protect their sources of critical supplies and materials implement a strategy of vertical integration by acquiring or merging with key suppliers. This is particularly important when supplies of raw materials or critical components are limited. Vertical integration also acts as a barrier to competition by making it difficult or impossible for competitors to acquire supplies. Supply chains feature high levels of communication among members. Members use email and electronic data interchange to communicate information about supply, demand and delivery, so that suppliers can plan their production in line with the manufacturer’s requirements. Integrating communications throughout the supply chain -- using a process known as collaborative planning, forecasting and replenishment -- enables all members to respond quickly to changes in the marketplace, according to the Council of Supply Chain Management Professionals. A sudden increase in product sales, for example, could create a shortage of inventory, so the manufacturer would increase output at every stage in the supply chain. What Is Downstream Supply Chain Management? Distribution to customers or to intermediaries such as wholesalers and retailers plays an important role in supply-chain operations. A manufacturer may deliver products directly to customers, particularly in the business-to-business sector. If it has a large number of customers in diverse locations, the manufacturer may use wholesalers, distributors or retailers to sell and deliver products to customers. Some manufacturers acquire or merge with distribution outlets so that they can control sales and customer service. This is another form of vertical integration. A logistics organization plays an important role in the supply chain. In the pre-production stages, it can take responsibility for coordinating the activities of suppliers, as well as managing storage and transport of supplies or work-in-progress among members. 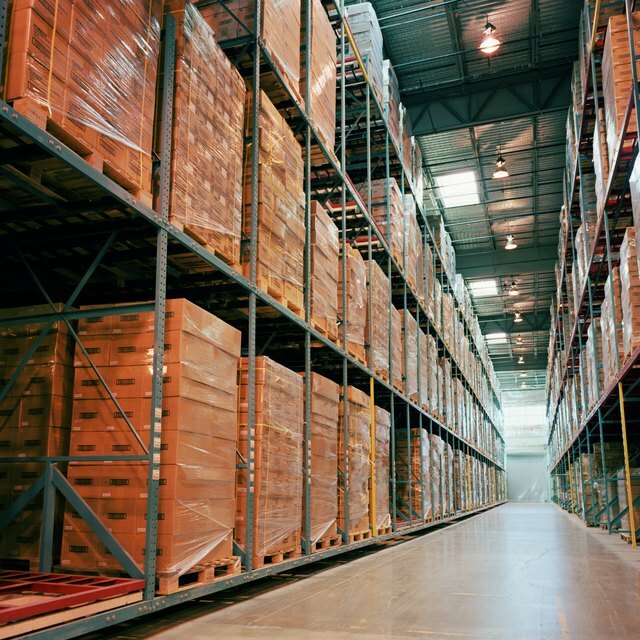 Logistics companies provide warehousing, transport and planning services for the distribution of finished products to customers or intermediaries. By outsourcing logistics services to specialists, a manufacturer can reduce costs and improve efficiency throughout the supply chain.